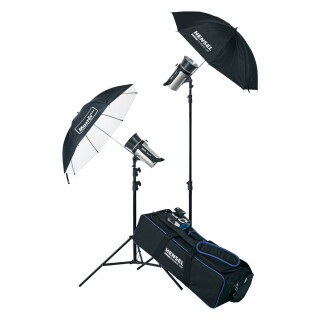 This kit is the ideal lighting set for you, if you want to take your first steps in studio photography with flash light! It contains everything you need for a successful start, from studio flashes to light modifiers and stands to a radio transmitter. Was is the difference to the Certo 400 Basic Kit? The kits only differ in the power output of the two compact flash units. The Certo 200 Basic Kit contains two compact flashes units with each 200 Ws power, the Certo 400 Basic Kit two compact flash units with each 400 Ws.